מרצה, מדענית בעלת תואר שלישי בנוירוביוכימיה, פוסטדקטורט בביולוגיה תאית והתפתחותית בבית הספר לרפואה, אוניברסיטת תל אביב. 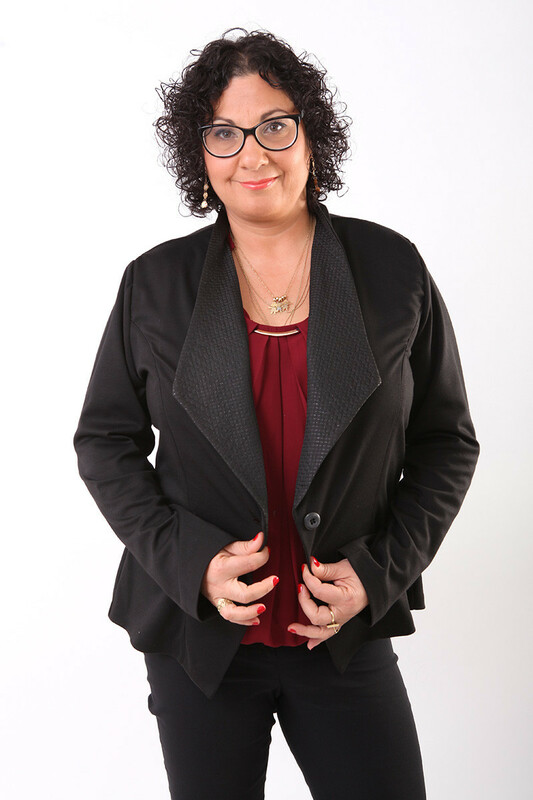 פוסטדוקטורט נוסף ממדעי המח במכון וייצמן. הסקרנות שבוערת כמו אש בעצמותי הובילה אותי לשנים רבות של לימודי ביולוגיה במגוון תחומים מדעי המח, מדעי הרפואה הכוללים התמקצעות במערכת החיסון ובגנטיקה, חקר וירוסים וחיידקים באדם ובצמחים. כיום משמשת כיועצת המדעית של התוכנית להכשרת חוקרים של קופת חולים כללית- רפואה משלימה ומכללת רידמן. 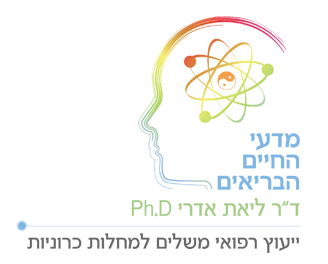 בשנת 2008 השלמתי את לימודי Ph.D. באוניברסיטת תל אביב לאחר לידת שתי בנותי המשכתי ללימודי פוסט דוקטורט בבית ספר לרפואה למחקר חדשני במחלת הסרטן תוך כדי התמקדות בסרטן השד וסרטן העור אשר נרשמו פטנטים על מחקרים אלו. בשנת 2013 השלמתי פוסט דוקטורט נוסף בחקר ההתנהגות במחלקה לנוירוביולוגיה במכון וייצמן והוספתי עוד בן קטן למשפחה. רשימת המאמרים אשר השתתפתי בפירסומם לאורך השנים מפורטת כאן למטה. אז איך ממחקר ועבודה על תאים ועכברים הגעתי לעסוק בטיפול באנשים? 1. Kunik,T. Palanichelvam, K. Mizrachy,L. Czosneck, H. Citovsky, V. and Gafni, Y. Nuclear import of the capsid protein of tomato yellow leaf curl virus (TYLCV) in plant cell. In: Plant Biotechnoiogy and In Vitro Biology in the 21st Century, 411-415.A. Altman et al.,(eds. ), Kluwer Academic Publishers, The Netherlands. 2. Kunik,T. Mizrachy, L. Citovsky, V. and Gafni, Y. Characterization of a tomato karyopherin alpha that interacts with the tomato yellow leaf curl virus (TYLCV) capsid protein. Journal of Experimental Botany (1999) 50:731-732. Kunik, T. Mizrachy, L. Citovsky, V and Gafni, Y.Gene bank:Lycpersicon esculentum importin alpha (LeKAP alpha) mRNA. Accession number:AF017252. 3. Mizrachy, L. Dabush,D, Levy,Y, Aloni , R, Altman, A. and Gafni, Y Cloning and characterization of the tomato karyopherin a 1 gene promoter. Develop. Growth Differ. (2004) 46, 515–522. 5. *Erlich, S., *Mizrachy, L., Segev, O. , Lindenboim, L. , Zmira, O. , Adi-Harel, S, Hirsch, J., Stein, R., and Pinkas-Kramarski, R. Differential Interactions Between Beclin 1 and Bcl-2 Family Members. Autophagy. (2007). Jul 8;3 (6): 17643073 *contributed equally to this work. 6. Zalckvar,E. , Berissi,H., Mizrachy,L., Idelchuk,Y., Eisenstein,M., Sabanay,H., Pinkas – Kramarski, R and Kimchi, A. DAPk-mediated phosphorylation on Beclin-1’s BH3 domain promotes its dissociation from Bcl-XL to induce autophagy. EMBO reports (2009) 10, 3. 7. Gefen,N., Binder,V., Zaliova, M., Linka,Y., Morrow,M., Novose,A., Edry,L., Hertzberg,L., Shomron,N., Williams,O., Trka, J., Borkhardt,A and Shai Izraeli. Hsa-mir-125b-2 is highly expressed in childhood ETV6/RUNX1 (TEL/AML1) leukemias and confers survival advantage to growth inhibitory signals independent of p53. Leukemia. (2010) 24(1):89-96. 9. Mor E, Cabilly Y Goldshmit Y, Zalts H, Modai S, Edry L, Elroy-Stein O and Shomron N. Species-specific microRNA roles elucidated following astrocyte activation. Nucleic Acids Research, 2011, 1–14. 10. Greenberg E, Hershkovitz L, Hajdu S, Nemlich Y Itzhaki O, Ortenberg R, Gefen N, Edry L, Barschak I, Keisari Y, J Besser M, Schachter J, Shomron N, Markel G. Regulation of cancer aggressive features in melanoma cells by microRNAs. PLoS One. 2011 Apr 25;6(4). 11. Sarfstein R, Pasmanik-Chor M, Yeheskel A, Edry L, Shomron N, Warman N, Wertheimer E, Maor S, Shochat L, Werner H. Insulin-like growth factor-I receptor (IGF-IR) translocates to nucleus and autoregulates IGF-IR gene expression in breast cancer cells. J Biol Chem. 2011 Nov 29. 12. Pando R, Even-Zohar N, Shtaif B, Edry L, Shomron N, Phillip M, Gat-Yablonski G MicroRNAs in the growth plate are responsive to nutritional cues: association between miR-140 and SIRT1. J Nutr Biochem. 2012 Nov;23(11):1474. 14. Weissbrod A, Shapiro A, Vasserman G, Edry L, Dayan M, Yitzhaky A, Hertzberg L, Feinerman O, Kimchi T. Automated long-term tracking and social behavioural phenotyping of animal colonies within a semi-natural environment. Nat Commun. 2013;4:201816. 16.Galia Tiram, Ehud Segal, Rony Shreberk-Hassidim, Shiran Ferber Ferber, Paula Ofek, Taturo Udagawa, Liat Edry, Noam Shomron, Maayan Roniger, Batsheva Kerem, Yuval Shaked, Sarit Aviel-Ronen, Iris Barshack, Marcelo Calderon, Rainer Haag, and Ronit Satchi-Fainaro. Novel microRNA expression signature associated with osteosarcoma dormancy and tumor progression (submitted to Cancer Discovery).